Most Melburnians are no stranger to the Winter Night Market at the Queen Victoria Market. 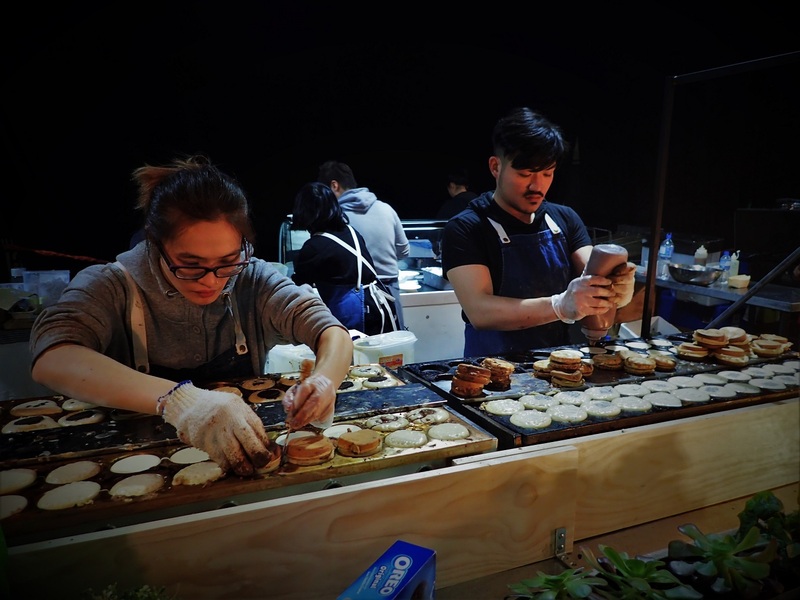 It was conceived as Luna 1878 back in 2012 as a twin to the Wednesday Night Market hosted in summer. 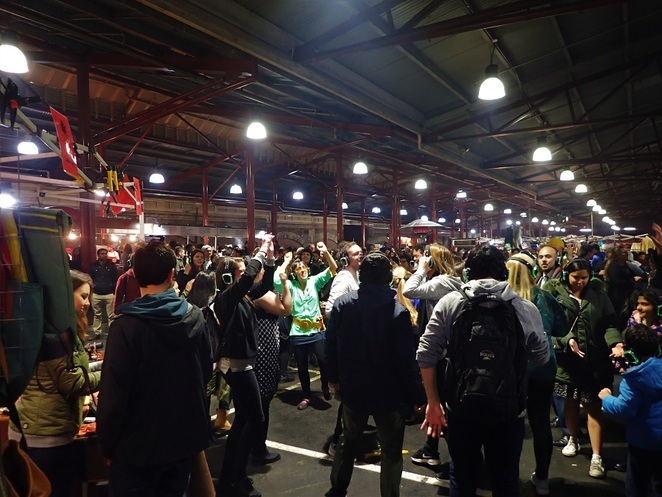 While it may not be one of the city's world-class events or festivals, this much anticipated winter ritual is well-loved in Melbourne, drawing crowds to the market sheds every Wednesday night in the month of June, July and August. The giant carnival styled atmosphere with free entry, live entertainment on stage and roving performers, toasty heaters and craft shopping bring a sense of vibrant energy to winter nights. The biggest attraction are the numerous food stalls cooking up a cloud of aromas and serving hot food a-la-minute. However the popular food has changed over time as the market and consumer trends evolve. 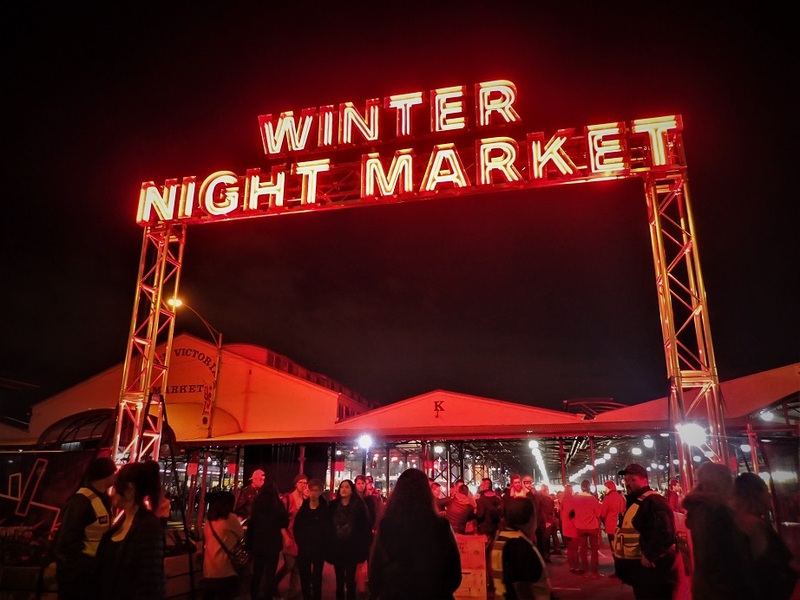 Here are the top food stalls commanding the long queues at this year's Winter Night Market. Arrive early to grab yourself a portion before they run out. This food stall is actually a producer of Italian-style soft curd cheeses using traditional Italian recipes and locally sourced milk from Australia. 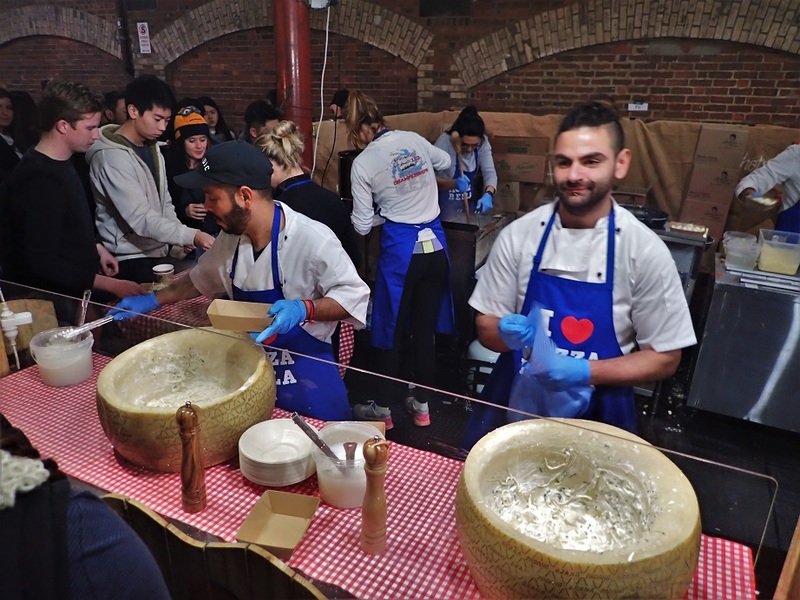 Visitors were queuing up for spaghetti tossed in a 40 kilogram Parmiggiano cheese wheel and covered in ricotta, bocconcini, scamorza and parmesan as well as the potatoes gnocchi cooked in napoli sauce and topped with fresh bocconcini for $12 each. 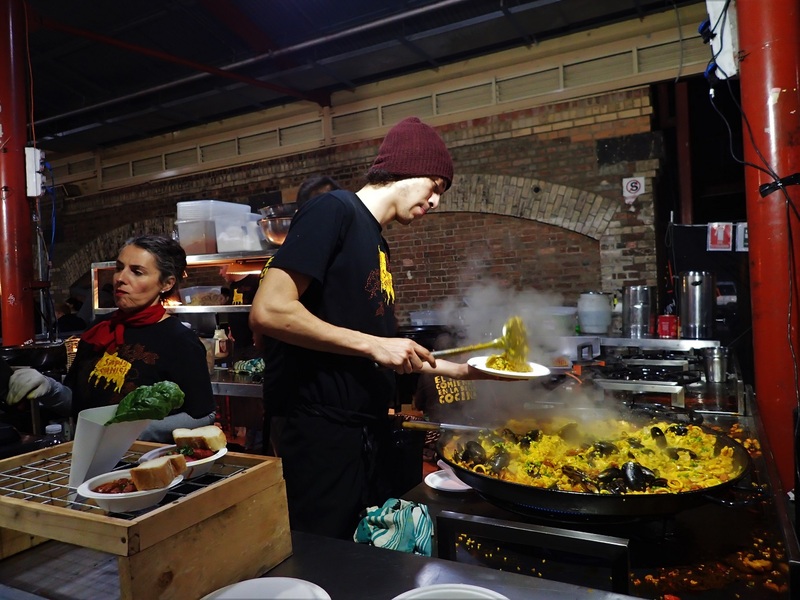 This Spanish tapas venue is located in Queen Victoria Market. 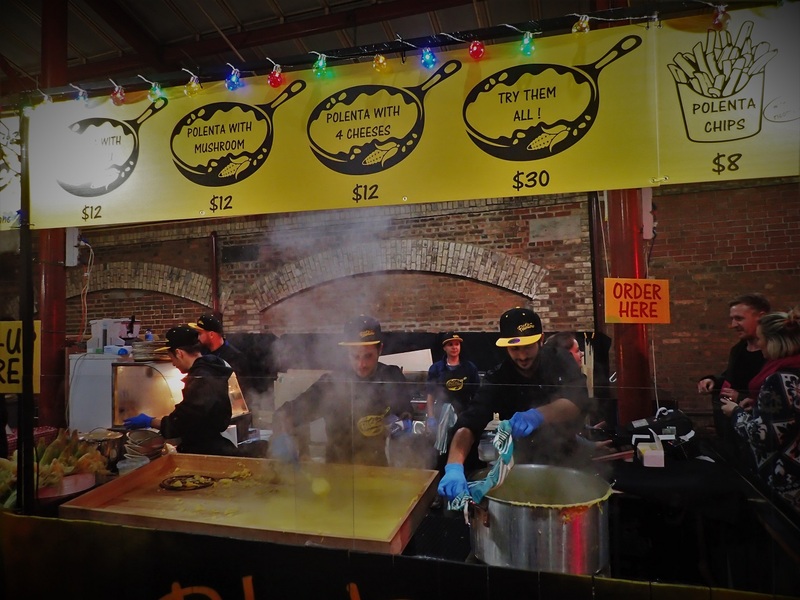 Its stall at the Winter Night Market served up some eye catching soup and large crusty bread rolls. 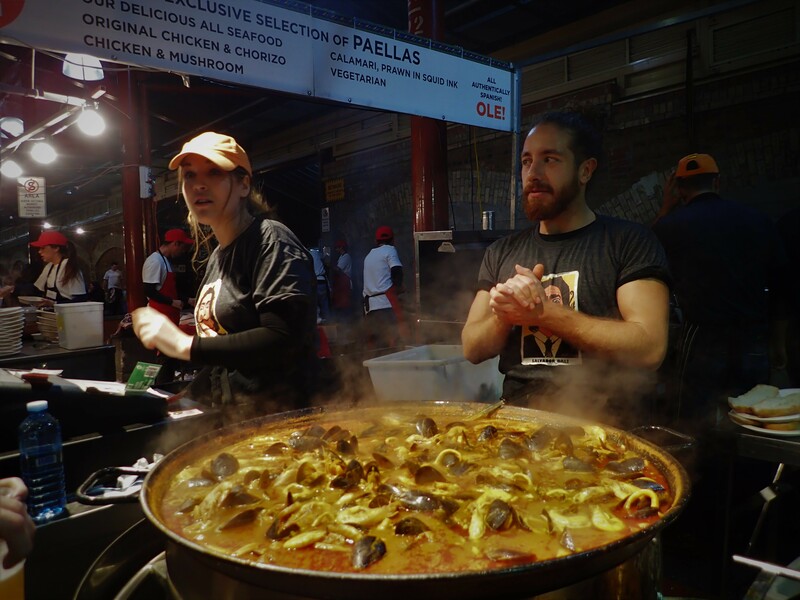 Visitors were in line for a portion of steamy Suquet or fish stew with mixed seafood at $15. The bocadillos filled with chorizo ($13), chicken ($14), grilled steak ($15) or garlic prawns ($15) were also very popular. Copa Grill offered three Brazilian-style barbecued meats slow cooked in its Churrascaria oven over charcoal. The wisp of cooking smoke and aroma drew visitors. 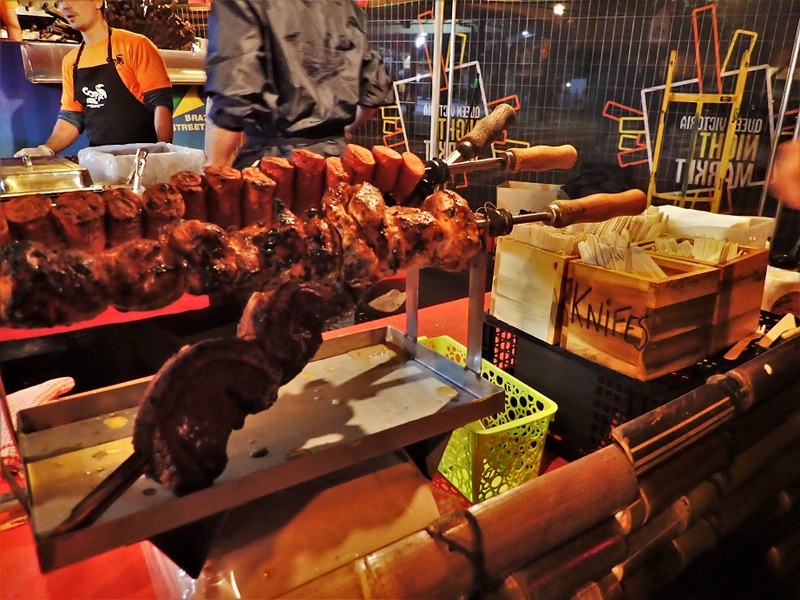 There was the choice of steak, chicken and a spiced sausage made from the stall's own special recipe. The queue was for the meat served in a panini bread with salad for $13 and on a plate with chips for $16. The Japanese imagawayaki made its way to the Winter Night Market. Commonly sold as a dessert or snack by street vendors and pastry shops in many Asian cities like Singapore, Kuala Lumpur, Bangkok and Hong Kong, the batter mix is cooked in a special pan and traditionally filled with sweet red bean paste. Throngs of people queued for the Butterlake pancake versions filled with nutella, peanut butter, chocolate and coconut at $10 for 3 pieces. Visitors eager for barbecued meats were in line at this Greek spit rotisserie. 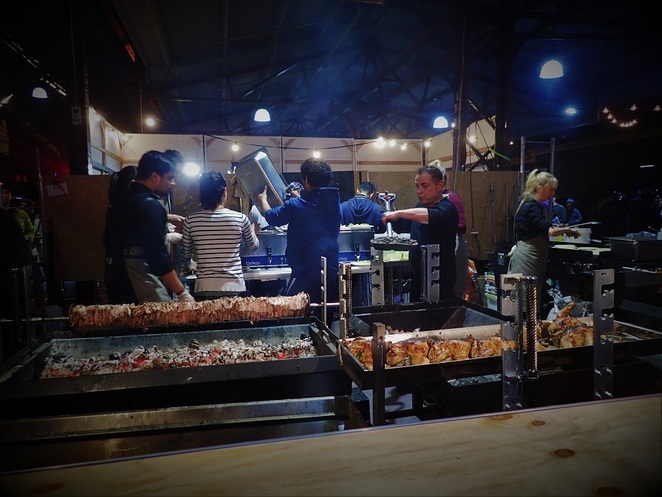 Whole lambs, chickens and pork were skewered on a spit and turned over charcoal pits as diners watched. Portions were available at $12 for chicken, $15 for pork and $16 for lamb. Drums Cafe is no newcomer to street festivals. 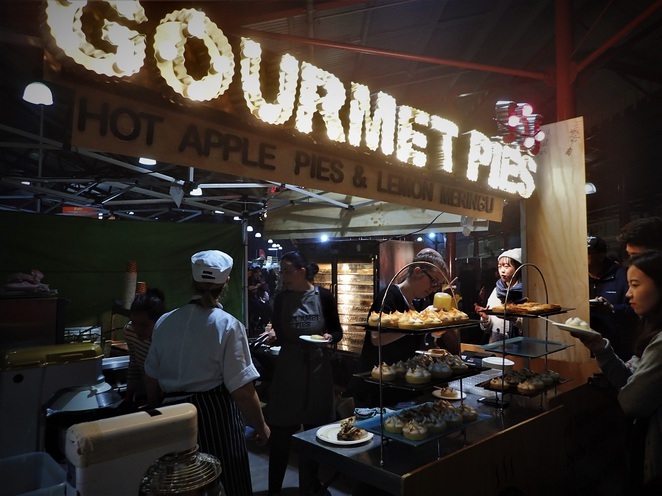 Based in the food hall of Queen Victoria Market, it has attended similar events in Federation Square, Dandenong Market and Werribee Market. 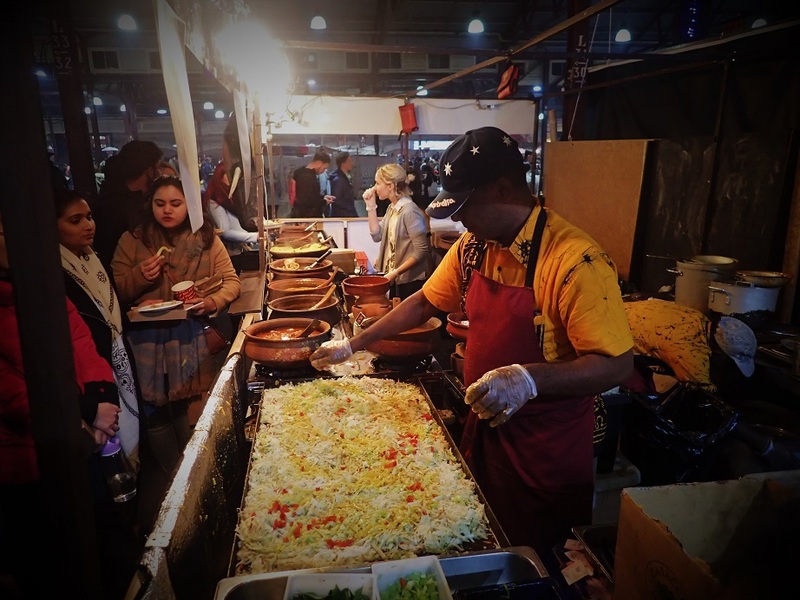 Its Sri Lankan Kotthu made with a grilled mixture of lean goat, chicken, vegetables and shredded roti drew a large crowd of Indians and other nationalities curious for a taste. So did the street combo of rice, curry meats and vegetables at $14. This stall is a regular at several farmer markets and regional markets around Melbourne. While the "Award Winning Gourmet Pies" with the choice of 10 flavours were the headlines, the best seller was something altogether sweet. A snake of visitors were in line for a taste and photo of the flamed lemon meringue pies at $8 each. There are always the savoury selections accompanied by mushy peas, buttery mash and a rich gravy. Fans of the rustic Northern Italian dish were in the queue for a portion. The sight of large pots of steaming hot polenta being poured onto a wooden board also draw the crowd. Visitors had the choice of this staple served with meat ragu, mushroom sauce, four cheeses at $12 each or a combination of all three flavours at $30. This Spanish restaurant with outlets in South Melbourne Market, Queen Victoria Market and the CBD made its presence felt with giant pans of steamy paella. At $13.50 per portion, the yellow rice topped with mussels, calamari rings, prawns and peas attracted a long queue. Roast pork always seem to draw the crowds. 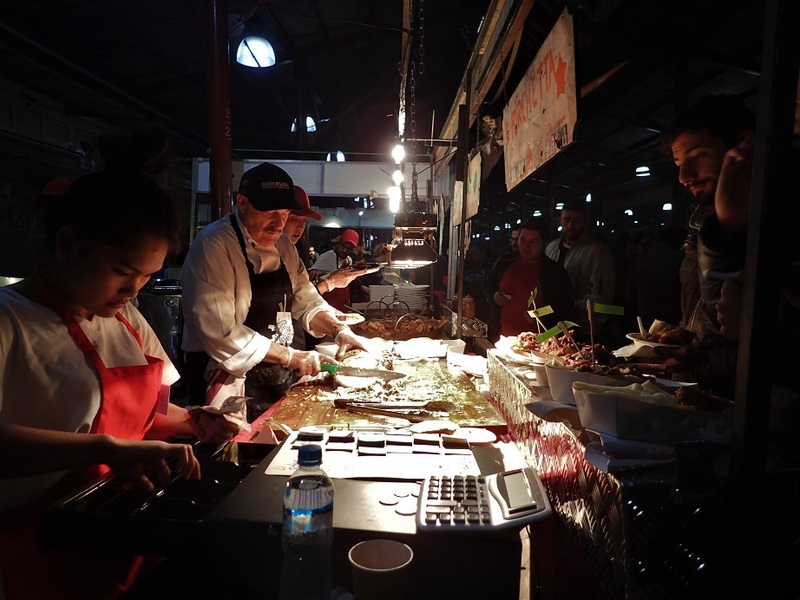 Visitors were in line for slices of Porchetta with moist meat and crispy crackling prepared in a Roman style and served with a panini or the mixed platter which included lamb shank braised in Italian style sauce for $18.